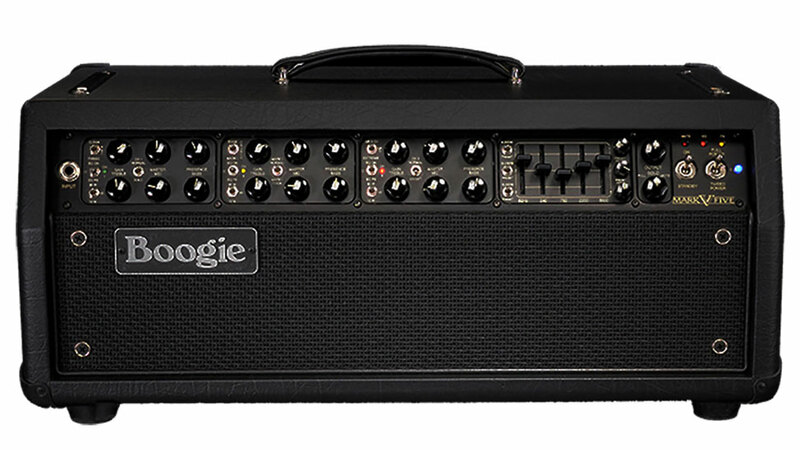 Mesa Boogie integrated the Mark IIc the Mark IV and the Mark V all into one tube amplifier. Does this amp really sound like those classics? Does the Mark V bring something new to the table? is it worth the money? I used to have a Mark III combo, that mutated in to a Mark IV combo. The Mark IV was used for many years and was one of the most productive amps in terms of inspiring me to write music that I have ever owned. The mark IV eventually started to give me a bit of trouble which I could have resolved, but by then the rectifier amps were here to stay so I moved on. But when Mesa Boogie said they were launching the Mark V and that it could sound just like the mark IV amplifier I decided that I had to have one. Everything is never as suggested by some and I quickly felt that although the amp does have these other sounding modes inside it, that it is not an exact replacement for a mark IV in my opinion. But it does come close, sort of. Then there is the advantage of the clean channel that can only be descried as pristine, the mark IIc+ mode or indeed the mark V native mode that some guys rave over are all there within this amp head. That's all fine and dandy but is there a lot to learn with this amplifier? The amp lacks any form of midi as we know it, suffice the rather old methodology of switching with 1/4 (or 6.3mm) jacks around the back which I never really saw as an innovation when everyone else was going midi. And it seems to this day mesa are stuck in the past regarding midi control embedded in to the amplifier. Today that's a shortcoming as more and more amps are indeed midi controlled. They did it with the Triaxis so what's the deal with a regular amp? 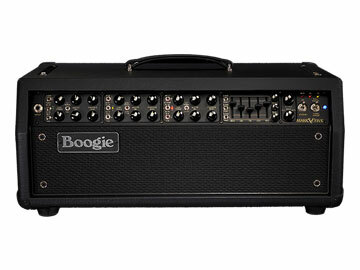 Surely it can't be beyond the ability of Mesa Boogie can it? This amp is about far more than just control, in any case it comes with the proverbial floor pedal what more do you want? The mark V is a three channel amp that has three 'modes' per channel as an approximation so think of it as having nine sound places to be. I hesitate to call them channels; it's still a three channel amp. Within those 'modes' are the Fender tones, and those Boogie tones that we have all heard for some time. The amp can work in 'Simul Class' too as indeed most of the Mark amps have for some time, which can mix two types of tubes together if you want to e.g. 6L6 and EL34 an Boogie invention it seems. Claimed output is around 90 watts and a half power switch, then from the front panel down to what I will call minimalist watts like one! If you have a baby you don't want to wake up then I suppose that mode will help. But even one watt can be loud depending on the cab you hang on to the back of this amplifier. It's always interesting that guys like John Petrucci still use the tube amps (this one) to get their tone while relegating that Axe-FX to what it really is, an effects unit. It just shows how the real professionals are not hoodwinked to using simulated sounds that in reality don't compare to this amp. While he endorses Fractal it seems he only likes the effects, well fancy that and I am not surprised. There is no alternative to really great tone and that will be why he uses the mark V from Mesa Boogie. The amp I am reviewing here was bought second user for about £1500 (that's the same price as a new one in the USA) but that's how we're treated here in the UK so you USA guys have a massive advantage as the mark V sells lower second user for prices that the UK could only dream of. This one did not see that much use before I bought it and everything works well and is in fine fettle as they say. But I'm not so sure that the mark V stands out enough head and shoulders above other tube amps on the market these days. This review is being written currently so check the news page where I confirm reviews are completed as they are finished.